Grambling got the best of Southern twice at home on Saturday, sweeping men’s and women’s hoops. GRAMBLING, LA — It’s always a good day for Grambling whenever it can beat Southern. Even better when it does it twice in one day. Both Grambling’s men’s and women’s basketball programs got wins over their rivals from the southern end of the state on Saturday at home. 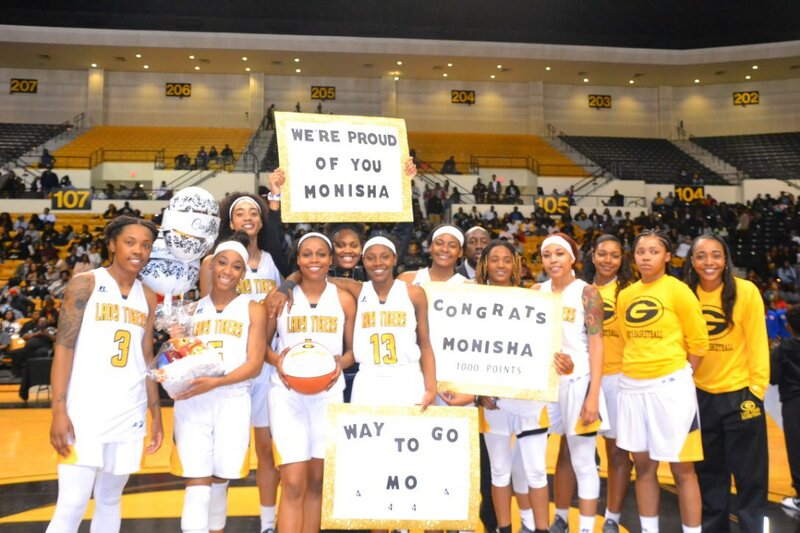 The Grambling State University women’s basketball team had three players finish in double figures as the Lady Tigers avenged their early Southwestern Athletic Conference (SWAC) loss to Southern, 79-71, on Saturday night at the Fredrick C. Hobdy Assembly Center. Monisha Neal led the way for the Lady Tigers with 18 points, six rebounds and two assists. Shakyla Hill registered 16 points, nine rebounds, seven assists and three steals, while Jazmin Boyd tallied 12 points and four rebounds. The Grambling State University men’s basketball team survived on Saturday night as the Tiger had three players in double figures and extended their win streak to seven games with a 69-68 Southwestern Athletic Conference (SWAC) win over Southern 69-68 in the Fredrick C. Hobdy Assembly Center. With GSU leading, 69-68, Jared Sam missed the potential tying free throw with five seconds left and as time expired, Jamar Sandifer’s 3-point attempt fell short to give the Tigers the win. Ivy Smith Jr. paced Grambling State with 20 points, five rebounds, six assists and two steals, while Devante Jackson tallied 15 points, six rebounds, one block and one steal. Shirmane Thomas added 10 points and three rebounds. Sam led Southern with 23 points, seven rebounds, two assists and one block. Aaron Ray contributed 14 point and four rebounds.